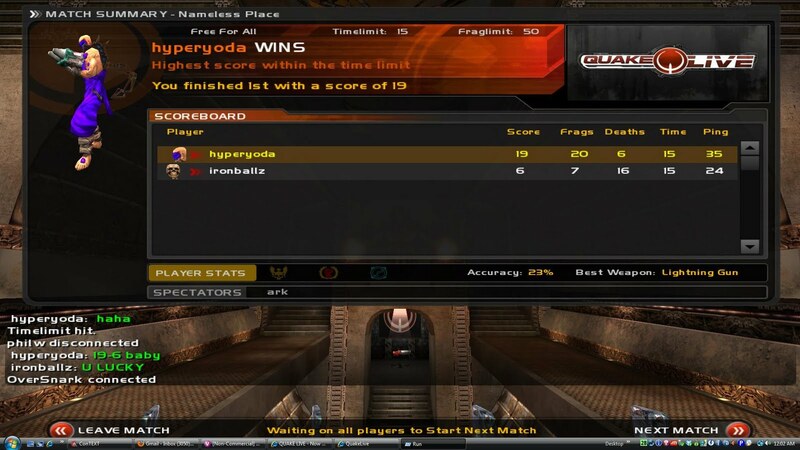 Quake Live match with Bany. I crushed him utterly! hehe.